The odd part about the Zandalari icons are that, unlike the Kul Tiras items, they are all from patch 5.2 from Mists of Pandaria. These aren’t new items implemented in the 7.3 PTR, they’re years old. Even the suspicious sounding “Achievement_Raid_LastStandZandalari” is just the name of the first raid finder wing in Throne of Thunder. So why would these icons be removed from the list of extractable interface icons, especially alongside the Kul Tiras ones that, as unreleased content, make sense being removed? I think its a feint. A distraction from the Kul Tiras leak by getting dataminers thrown into a wild goose chase about Zandalar. It’s happened before, way back in 2009. Only that time, instead of removing items from the files, they added some. It all started when fellow BlizzPlanet contributor Handclaw found the following textures in the PTR for patch 3.2, Call of the Crusade. They were clearly masks for Hallow’s End, a holiday which at the time only had masks for playable races. Adding to the mystique, these masks used brand new artwork. In fact we’d never even seen a female worgen before, leading some to think it might be a new creature entirely. This was months before Cataclysm would be announced, or famously leaked on MMO-Champion. The writing was on the wall, goblins and worgen were the player races for the then unannounced expansion. It worked exactly as intended. 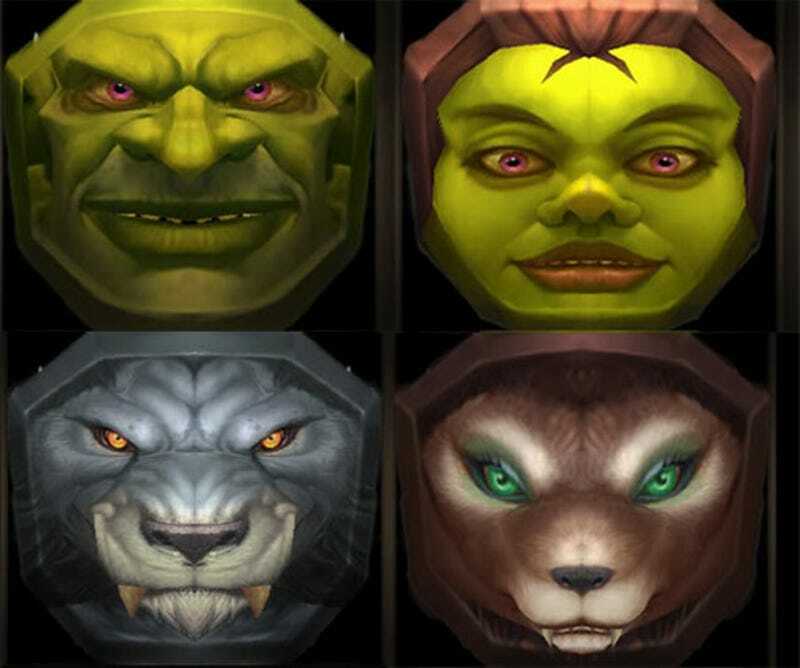 People began to doubt that worgen and goblins were going to be made playable, or even suggested that all six races would be added in the future. Others pointed out that these new masks had one major difference from the originals. They used recycled artwork of much lower quality. Most were just closeups of the faces of naga, vrykul, murloc, and ogre NPCs. The only exception was the female ogre mask, which was of even lower quality. These extra masks were eventually added to the game, but the year after Cataclysm launched. So to throw suspicion away from a legitimate leak, Blizzard hastily added some additional content which appeared to refute or confuse the original information but on closer inspection didn’t make sense. The masks were recycled artwork of lower quality. The Zandalar files were part of content added to live servers years ago. If anything, this just supports the Kul Tiras armor being something from the next expansion. I, for one, cannot wait for BlizzCon.